Everyone my age remembers where they were and what they were doing when they first started reading Ready Player One. Okay, well maybe not everyone, but they should. I was lying in bed, eating chocolate and writing my first novel, when my girlfriend handed me Cline’s first best selling Sci-Fi thriller. It was a secret Christmas present and, as it turns out, a love memento. Four skipped gym sessions, many forgotten meals and 374 pages later, I turned back to page one to start again. Before RPO, Cline was known for slam poetry and screenwriting the movie Fanboys. After RPO, he is now among my favourite one-hit authors, not for his elaborate use of prose or gritty narrative voice, but because he told a simple yet powerful story. RPO takes place thirty years in the future in a world ravaged by war and famine. The majority of people live in packed mobile home ghettos called “The Stacks.” These “Stacks” are poorly maintained and routinely topple into each other, killing everyone inside. The only escape, for many, is a fully immersive virtual reality simulation called The Oasis. The Oasis is home to thousands of worlds which recreate nearly every pop culture reference of the past seventy years. It’s impact on the world is so great, pizza can be ordered using in game currency. Now, If pawning nubs for pizza isn’t paradise then I don’t know what is. Regardless, The Oasis offers an escape from an ailing world, but when the simulation’s creator dies, he leaves his billion dollar fortune, and rights to The Oasis, to the one person who can solve his ultimate puzzle: A six part epic quest, centred around 1980’s pop culture. Many see this as a part time hobby or a lofty goal but for some the fortune is worth killing for. Cline’s words are the visor that plunges us into the virtual world of The Oasis. Throughout the novel, there is a strong sense of urgency and dread. We feel, at any moment, everything could be lost. Cline employs short chapters and a three act structure to tell his archetypal plot driven story. Though the characters are entertaining, and easily understood, they lack any real depth. If you’re looking for “The Complicated Moral Philosophy of Wade’s Watts” then you’re going to be disappointed, though many moral messages can be found in the subtext. This is a page turning, “Wow that’s so cool!” action novel centred around mystery, riddles and solving puzzles. Our story begins with the hero, Wade Watts, living in The Stacks and sneaking out to his secret hideout to log into The Oasis. Wade offers us a past tense autobiographical account of what “really happened” during the quest. This writing style allows us to to feel the events he explains are both accurate and historical in their importance. Though we don’t know how the story will end, we are sure it's worth reading. Early on, it's apparent, Wade’s strength is not in his freakishly large muscles or spider induced superpowers. What separates Wade, is his uber geek encyclopaedic mind for all things nerdy. It’s this power, that allows Wade to overcome obstacles and continue where others fail. Where the novel excels is in taking complicated plot interactions and making them easily digestible. There is no interest, by Cline, in making the reader look up new words or using, F Scott Fitzgerald, 10 page semicolon sentences. 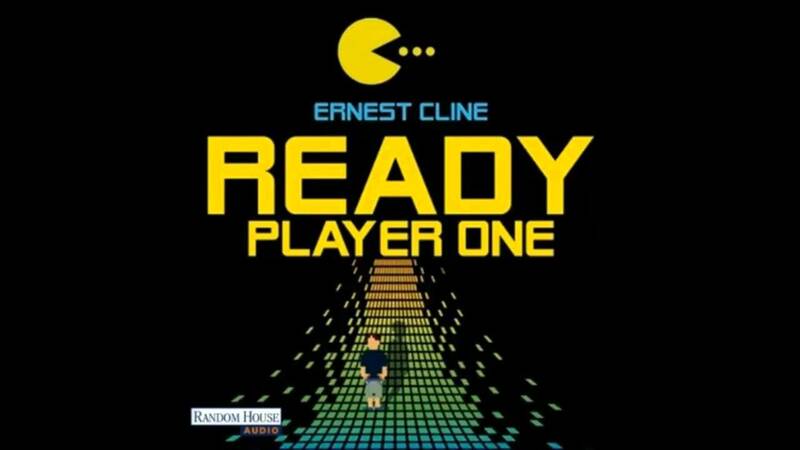 Ready Player One is focused on driving the reader's imagination forward with simplicity. And though I dislike many Science Fiction novels, due to their absurd views of the future, Ready Player One not only seems tangible but likely.